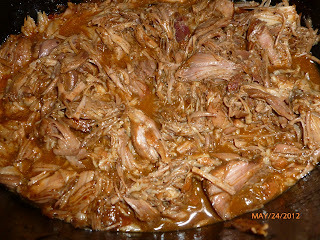 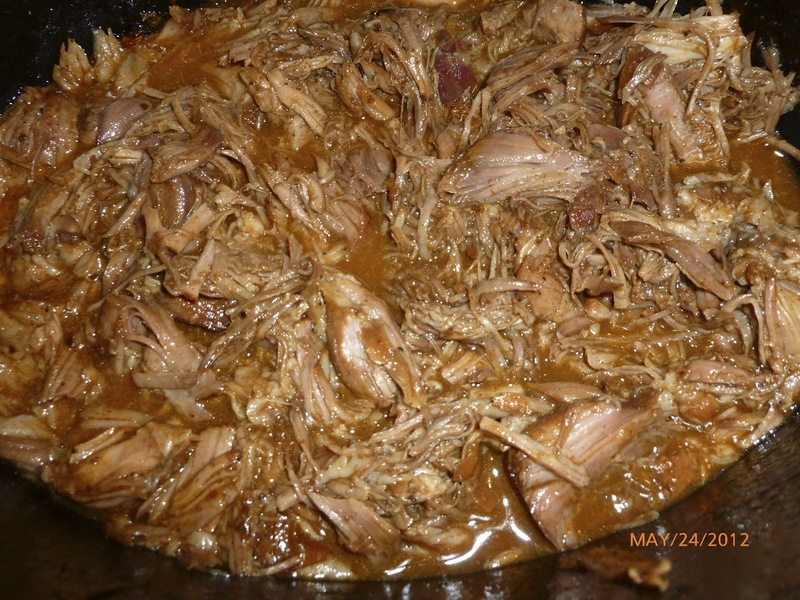 Using your slow cooker spicy pulled pork leftovers you can make some really delicious, light and refreshing tacos! Its always a good idea to wrap your refrigerated corn tortillas in a damp paper towel and microwave for several minutes until they are hot, steamy and pliable before making tacos. 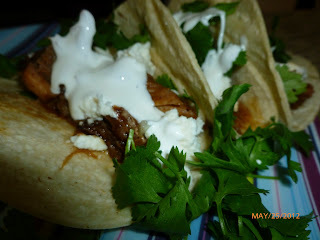 You can also set them over the open flame of your burner after to char them slightly. 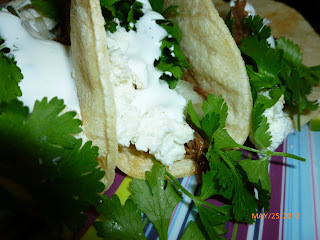 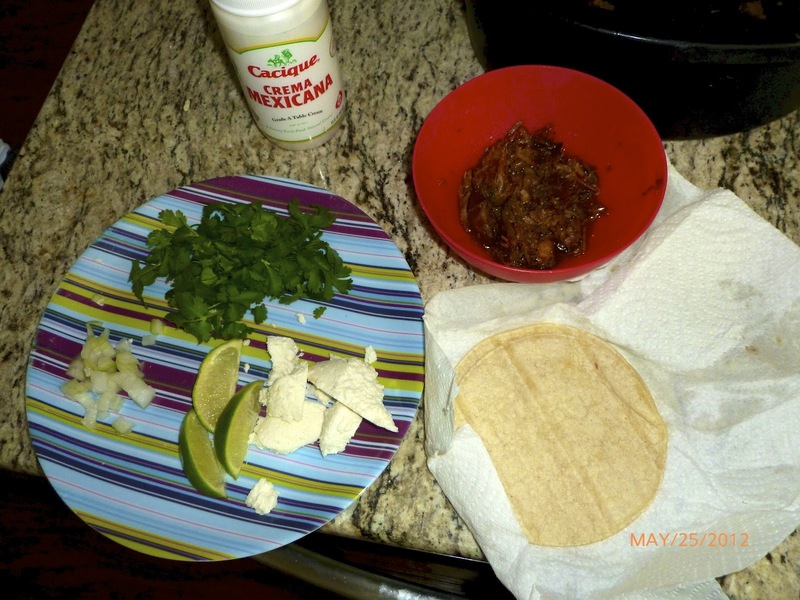 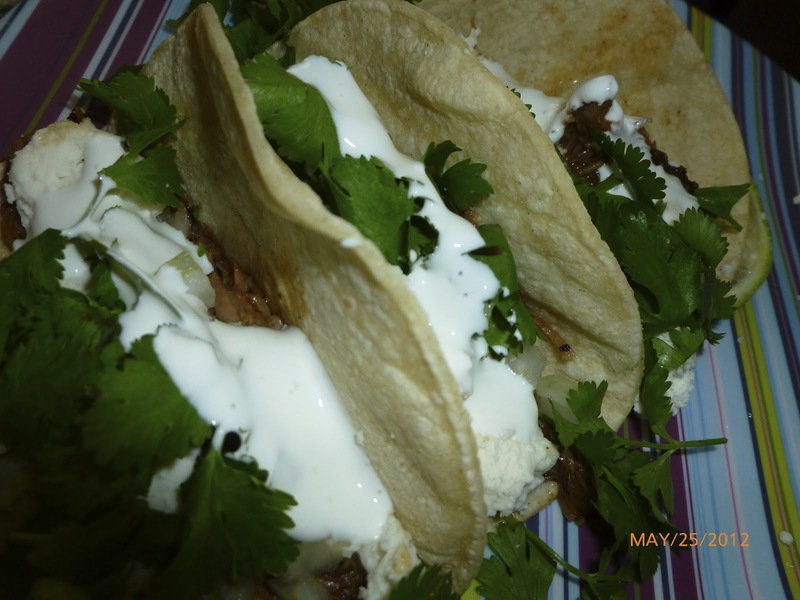 Assemble tacos with warm meat, chopped onion and cilantro, queso fresco, mexican crema and a squeeze of lime juice.